The illustrated Spyderco Knife is the Spyderco Robin2 SS Byrd knife that features a 2 3/8" serrated blade made of 8Cr13MoV stainless steel. The blade of this Spyderco Byrd knife has a full flat grind, a notched thumb ramp and choil, and a comet shaped hole for ambidextrous one hand opening. 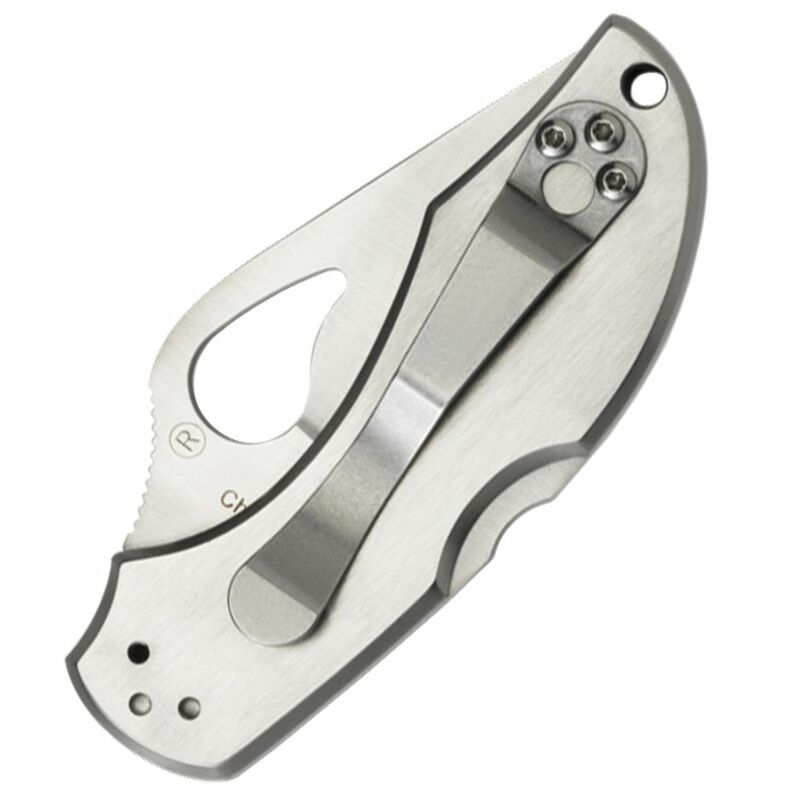 The stainless steel handle, 3 5/16" closed, has a Boye dent lockback and a lanyard hole. 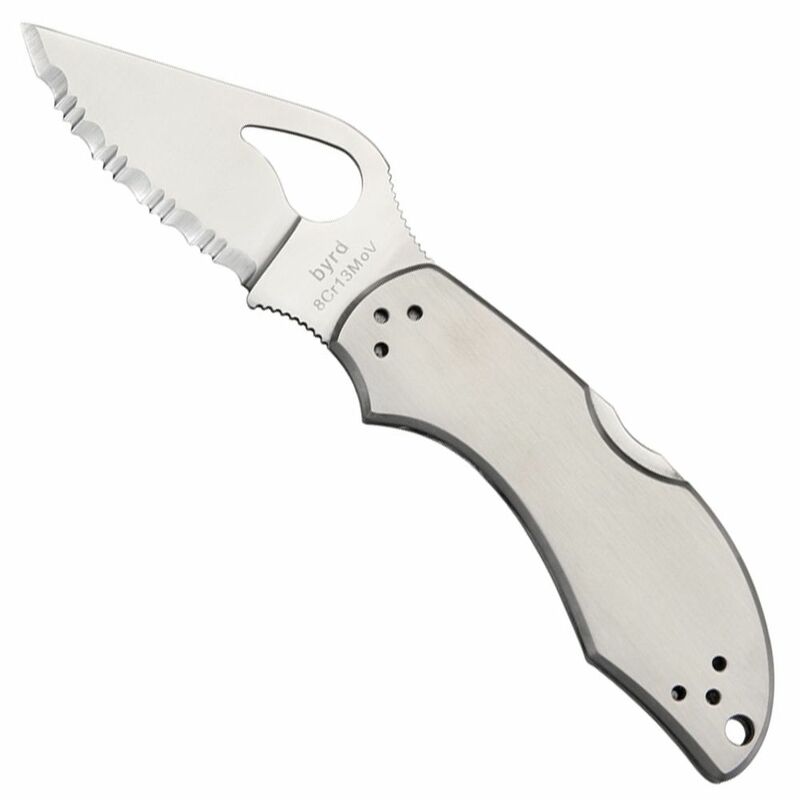 A side to side and end to end reversible steel pocket clip is included with this Byrd Knife. The Spyderco Robin2 SS Byrd Knife with serrated blade has an overall length of 5 11/16" and weighs 3.2 ounces.